The Tall Ships race started in Liverpool 2008 as part of the European Capital of Culture celebrations. G.L. Watson & Co. were delighted to be involved in the event, and to support young sailors aboard the Royal Artillery Yacht Club’s training ship the Saint Barbara V.
The races are designed to encourage international friendship and training for young people in the art of sailing. The Royal Artillery Yacht Club run an active program working with young people to develop skills and confidence in sailing. G.L. 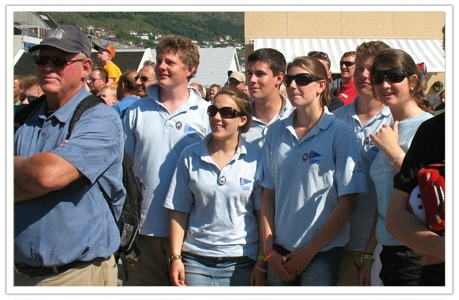 Watson were proud to sponsor the young people by providing them with crew uniform.